In his "No More Excuses" program Sam presents the four phases of accountability and the five critical, but often overlooked, ways to be proactively accountable. Sam shows how to increase success and significance in business and in life, and will challenge listeners to take an honest look at themselves. Participants discover what important roadblocks are keeping them from achieving their goals. Application of Sam’s principles improves leadership, increases sales and improves customer service. By simply creating a culture of accountability organizations grow stronger. 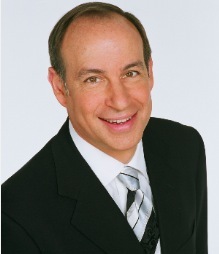 Sam served as the 2008-2009 President of The National Speakers Association and is a Certified Speaking Professional with a Business degree from the University of Georgia and an MBA from Washington University. Entrepreneur, business expert, and international author Sam Silverstein’s battle cry of “No More Excuses” has been heard by companies and business professionals the world over. Accountability is today’s competitive advantage to reclaim market share and win the heart of a hyper-discerning consumer. Silverstein knows how to get million-dollar results. His companies have sold upwards of $100 million in products and services, and he successfully sold one of his businesses to a Fortune 500 company. Corporations such as AFLAC and Lucent Technologies rely on Sam to learn how to sell more, be more effective leaders, provide greater service and increase income in trying times. His programs focus on accountability and authenticity, teaching his hard-learned lessons and his winning techniques to build success both personally and professionally. Sam has shared his millionaire secrets on over 450 radio stations and on CNBC’s The Big Idea with Donny Deutsch. He has authored ten books, is the creator of the acclaimed Strategic Business Acceleration System™, and has been a contributing author to countless publications throughout his career.